“Let’s get back to basics”—so often said with a touch of nostalgia. Yet, I want to use this phrase as a jumping off point for a different way of centering Your Self. Getting back to "basics" is a wonderful way to reset your Bodymind and actually get a number of things done at once, despite the admonition that multitasking doesn’t work. For our purposes, let me clarify what I mean by "basics”. They’re the nuts and bolts of keeping our lives going: tasks, chores, household maintenance, ongoing routines that we’ve established to move through our days. Yes, they’re mundane, can be annoying and are by their very nature repetitive, which is the piece I want to consider. 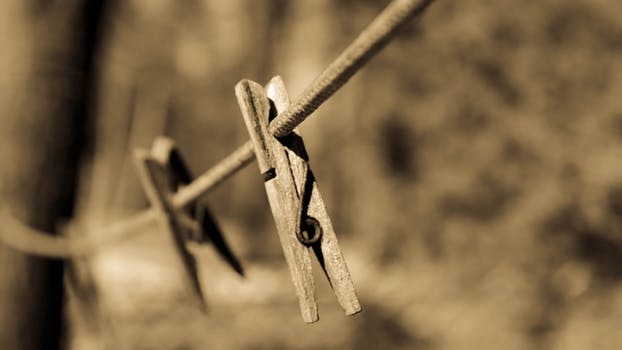 Doing laundry: ironing it, folding it, putting it away; the back and forth movement of a mop; loading or unloading the dishwasher; washing the car, pulling weeds, vacuuming—all just scratch the surface of our day to day basics. What they all have in common though, is that they’re rote: repetitive, so ingrained that they don’t take much thought, and with an inherent rhythm of their own. This is how getting back to basics can serve us on many levels. Because we don’t have to be hyperaware when we do them, we can become a bit “mindless” in the best sense of the word. While we’re falling into the rhythm of tasks we’ve done hundreds of times, our minds are often freed up to wander, explore and even tap into inspiration. For instance — how many of these examples resonate with You? Hashing through the fine points of a tangled conversation you need to have. Making mental notes for an important meeting or presentation. Setting the menu for an upcoming gathering. Getting your ducks in a row for a holiday or vacation. Processing an unsettling encounter with someone. Finding that one missing piece of the puzzle that breaks the artist’s block that has You stymied. These are just a smattering of possibilities that surface when we’re getting back to basics. As I was mulling and writing this blog, I watered the plants, cleaned the tea kettle, got the mail and answered a phone call—all while shuffling phrases and ideas in my head. For me, the rhythmic energy of “back to basics” evokes the back and forth of being rocked and soothed as a child. It’s comforting and reminds me that I can let go of fuss and worry. I can release what’s in the way of my progress / process so that I may receive what I need in a given moment. Plus, there’s a twofer involved here. Not only do I get a task done, there is invariably some next step, right action or "AHA" moment that gives me clarity around an issue. Sounds like a win / win to me. I invite You to get back to basics and see what surfaces.